We offer unique undergraduate programs, including an internationally recognized equestrian studies program, a four-year American Sign Language interpreting program, and a criminal justice degree with homeland security emphasis. William Woods University believes in a service-learning model, where students learn best through hands-on experience, and through the giving of their hearts, minds and talents. Among our network of more than 20,000 successful alumni, we count an Olympic gold medalist, the trainer of Thunder, mascot of the Denver Broncos, and innumerable professionals in medicine, business, law, and education — including more than 600 school leaders ranging from superintendents and principals, and special education administrators. William Woods graduates fill positions at Disney, 3M, Coca-Cola, UPS, Hewlett-Packard and many other major corporations. Our 146-year history of service and leadership in education has given us, as a community, values that endure and make the William Woods educational experience unique. We challenge our students to discover, lead, and achieve, often beyond what they ever dreamed possible. What makes William Woods different is our commitment to stay with our students as they pursue their goals; to see to it that they thrive in school and beyond. It’s a personal, first-name relationship that goes well beyond the classroom and lasts long after the degree is earned. Ask a student what the William Woods experience is like, and the answer will most likely evolve from a discussion of the program to an account of the people who not only engaged and challenged, but who walked along side them and supported them until the journey was complete. Read about the values of compassion, challenge and excellence that have shaped us and guide us toward the future. We are accredited by the Higher Learning Association, a Commission of the North Central Association, for undergraduate, graduate and online students. And we’re recognized as a leader in high-quality, affordable higher education. Meet our faculty, learn about their professional accomplishments, and contact them. As a community, we are committed to being available to you. 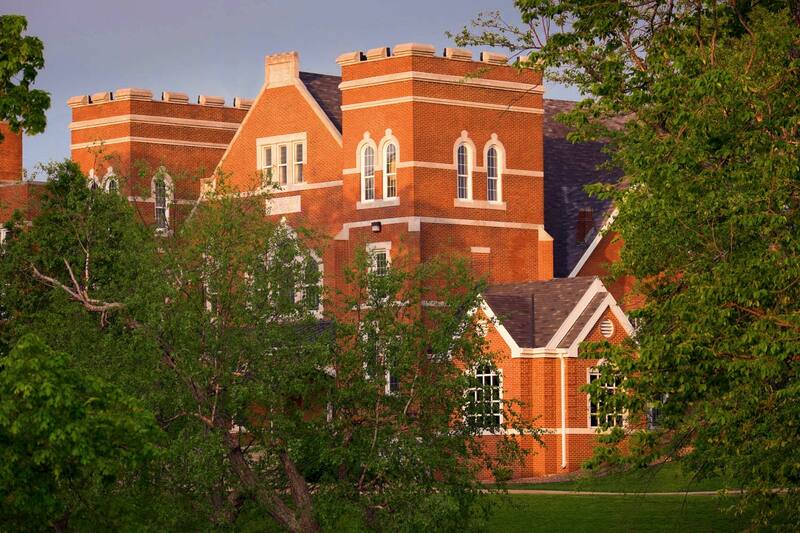 Visit William Woods University in Fulton, Missouri. We will engage you, challenge you, and show how you can flourish.